Zone Raiders is an open-model 28mm Skirmish Game set in a dystopian future within the abandoned remains of a crumbling megastructure. Take on a deadly world and opposing survivors for the resources to endure another day. Zone Raiders: 200% funded with 7 Days left on Kickstarter! No Comments on Zone Raiders: 200% funded with 7 Days left on Kickstarter! 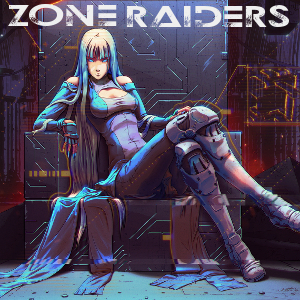 Zone Raiders Demo Rules now Available! No Comments on Zone Raiders Demo Rules now Available! Announcing Zone Raiders, Sci-Fi Miniatures Skirmish! No Comments on Announcing Zone Raiders, Sci-Fi Miniatures Skirmish!